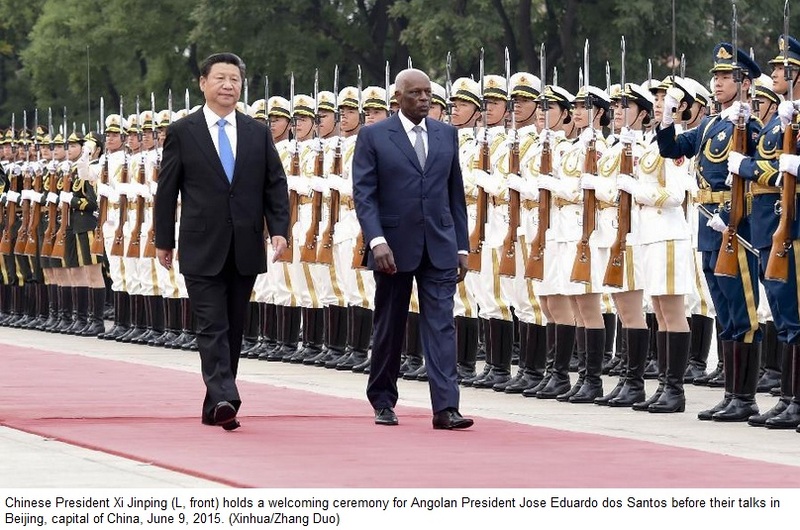 Chinese President Xi Jinping held talks with his Angolan counterpart Jose Eduardo dos Santos on Tuesday and they pledged to boost win-win cooperation between the two countries in pursuit of common development. “China and Angola are good brothers and long-lasting strategic partners,” Xi said during their talks at the Great Hall of the People in Beijing. Recalling his visit to Angola in 2010, Xi said the friendly cooperation between the two nations has yielded visible results and brought substantial benefits for their people over the past five years. The two countries announced the establishment of a strategic partnership during Xi’s visit, when he was vice president of China. During Tuesday’s talks, Xi said China and Angola need each other in pursuit of common development and they can provide opportunities for each other with their comparative advantages. The two sides should stick to the correct direction for the bilateral relationship from a strategic and long-term perspective, said the Chinese leader, highlighting the significance of political trust in each other, and mutual support for each other on development path as well as issues involving each other’s core interests and major concerns. Xi also called for closer exchanges between the governments and legislatures of the two countries. “The Chinese side stands ready to work with Angola to turn our traditional friendship into a driving force for win-win cooperation,” Xi said, pledging assistance for Angola in its push for sustainable development and benefit its people with its rich natural and human resources. The Chinese government will encourage Chinese enterprises to invest in Angola, participate in construction of industrial parks and infrastructure, and help the country to achieve economic diversification, Xi said. He looked forward to signing agreements on currency swap, investment protection and avoidance of double taxation between the two countries. Xi also called for more people-to-people exchanges between the two countries on education, culture, medical care and tourism as well as more coordination on international affairs regarding the UN Security Council, the post-2015 development agenda, climate change, and the peace and development in Africa to safeguard the common interests of developing countries. Xi said China and African are a community of common interests and common destiny and that the Chinese government firmly adheres to the policy of unity with African countries. China will work with Angola and all other African countries to advance the new type of China-Africa strategic partnership featuring win-win cooperation to promote common development and benefit the Chinese and African people, said the Chinese president. Echoing Xi , dos Santos said mutual trust and reciprocal cooperation have served as a solid foundation for the bilateral strategic partnership. 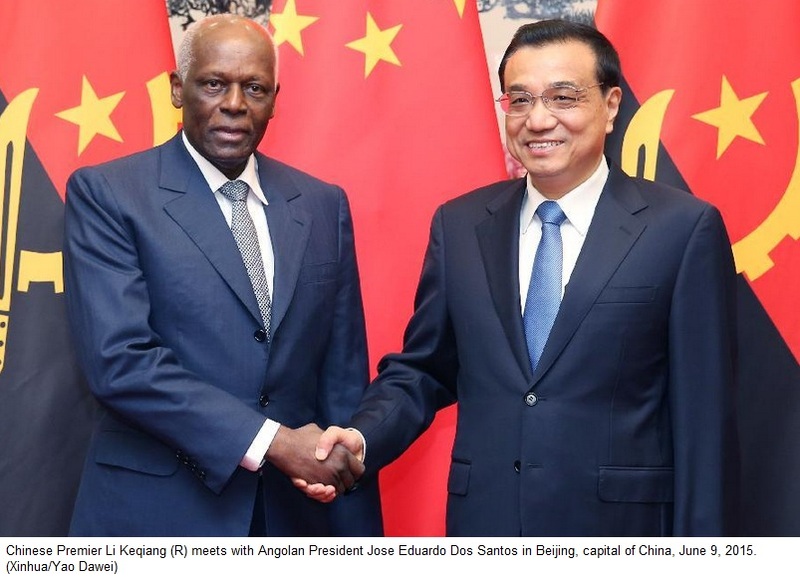 Dos Santos thanked the Chinese side for enduring support for Angola in its push to achieve national reconstruction and socioeconomic development. Stressing the significance of the Angola-China cooperation for the African country’s development, dos Santos said the Angolan side is willing to cement friendship with China and work to tap the immense potential for the bilateral cooperation. Dos Santos hoped for closer cooperation with China on infrastructure, education, science and technology, electricity, agriculture, industry, and finance. The Angolan government will make efforts to provide favorable environment for Chinese enterprises investing in Angola, said the visiting president. As Angola and China hold similar stance on many international and regional issues, President dos Santos said Angola, as a non-permanent member of the UN Security Council, will cooperate with China to safeguard peace and stability of the world. After their talks, the two presidents witnessed the signing of a string of deals between the two countries. Prior to the talks, Xi held a red-carpet ceremony to welcome dos Santos, who is paying a state visit to China from Monday to Saturday at Xi’s invitation.